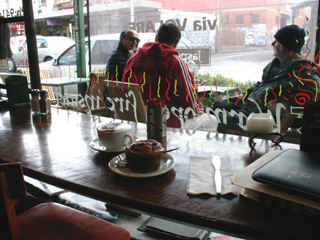 There is no shortage of Fitzroy restaurants, cafes & nightlife. It has some of the best Melbourne eateries, quaint bars, as well as fine dining. Fitzroy is one of the bohemian, retro, and happening Melbourne precincts with unique flair and character. This is the main part of Fitzroy. There you find Italian restaurants, Mexican, all sorts of curries, Thai and Vietnamese, French or vegetarian  licensed and BYO. Eateries and restaurants in Fitzroy area concentrated along Brunswick, between Alexandra Parade and St David Streets. You get there on the #112 tram within 15 minutes from the city. Around Johnston Street is the Melbourne Spanish quarter, with a large number of tapas and flamenco bars. Another Fitzroy area with many cafes and some great restaurants is Gertrude Street, between Brunswick and Smith Streets. 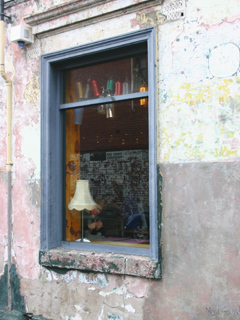 Gertrude Street has real character. While it used to be notorious for crime and violence, it has turned into one of Melbournes most attractive hip areas and insiders tips. Nowadays, Gertrude Street is the place for all day breakfasts, lunch meetings and intimate dinners, with many original cafes and some great restaurants. You can get to Gertrude Street on the #112 and #86 trams from the city. North Fitzroy is more residential, with more families with kids in the area. It yet remains to be a precinct of artist and musicians. It is further up Brunswick Street, some way past Alexandra Parade. 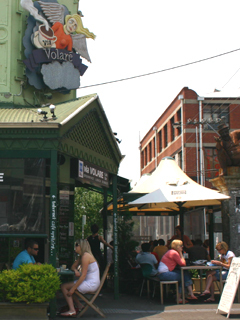 Along St Georges Road and around Scotchmer Street,North Fitzroy, you can find some of the finest restaurants and quirky cafes, many of them very popular. This is another precinct where you can stroll along and find some food that will suit your palate. You get there on the #86 tram. If you have a restaurant in Fitzroy, you can get it listed on this page with all your web and contact details! What is Your Favourite Fitzroy Restaurant? Tell us about your Fitzroy restaurant experience and recommendation.